A replacement dwelling in rural Suffolk. Design by us, planning consultancy and application by Lisa Jackson of Jackson Planning. Timber frame by Touchwood Homes. 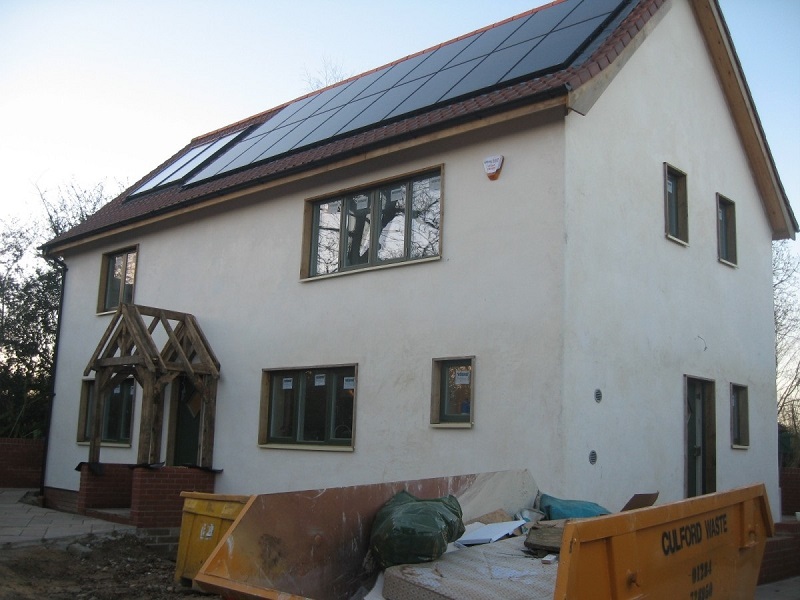 I beams with 300mm of cellulose fibre in walls and 350mm in the roof; a lot of solar PV and thermal; MVHR, and underfloor heating via an air source heat pump will keep bills extremely low and attract RHI rebates. Built by local builder Roger Thomas, who has applied traditional lime render to the walls.